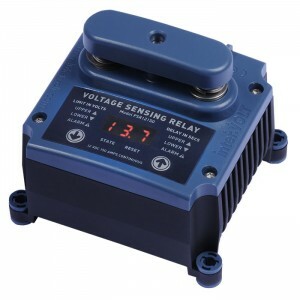 Share the post "Programmable Voltage Sensing Relay 12VDC"
For load terminals ≈0.5mΩ @ 25°C. Does not take into account connections i.e. terminal resistance. 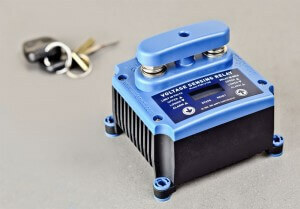 The PSR is a user adjustable voltage sensing relay. 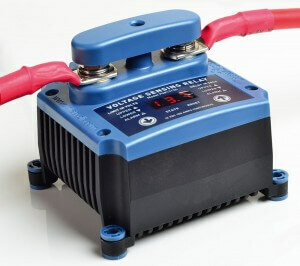 Electrically isolated, non-polarised and bi-directional, features previously unheard of in any other solid state relay devices. 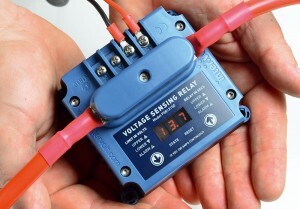 Voltage sensing relays have existed in one form or another for many years. 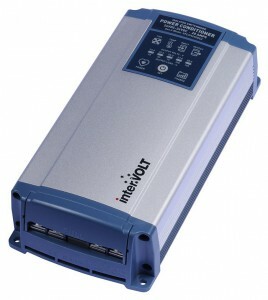 They are commonly used to automatically replace the traditional manual process of controlling the charge function between batteries or battery banks, thus eliminating the risk of over/under charging. 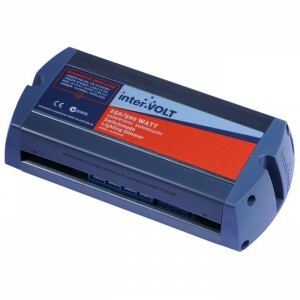 interVOLT takes this process to a whole new level. 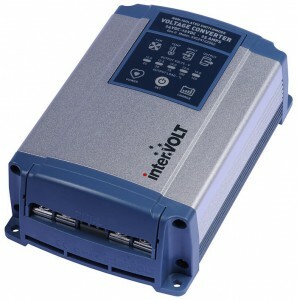 The innovative design of the interVOLT PSR replaces traditional electro-mechanical relay devices used in 12/24 Volt DC applications by removing all mechanical parts to produce a completely solid state product with a myriad of added features. In short, the PSR is a user adjustable voltage sensing relay in terms of voltage and time delay parameters. It allows the user to choose the voltage they want for switching loads on and off rather than be restricted to settings dictated by manufacturers. The time delay allows the relay to activate only after a user specified time to prevent cyclic (threshold) switching. In addition the PSR is electrically isolated (contact to load), non-polarised and bi-directional, features previously unheard of in any other solid state relay devices. Additionally the PSR has the major benefit of being able to change from normally open or normally closed, all literally, at the touch of a button.